What is remote desktop protocol (RDP)? RDP stands for Remote Desktop Protocol which is developed by Microsoft. It allows secure communication between two computers and enables the user to control another computer with full multimedia support remotely. As the name suggests, it allows the user to work or control any other system remotely. It required a LAN or Internet connection to work. It is fully secure and supports SSL encryption. RDP has become a universal standard in organizations as a best practice to provide connectivity securely. It helps an organization to reduce cost and provide connectivity to its users all around the globe without compromising any security. We offer our user to buy rdp as a service. What is the use of RDP? 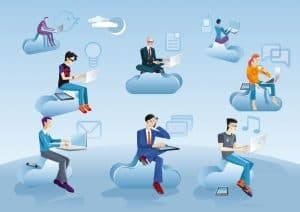 Using RDP as a second computer: If you are doing a lot of travel, you can use RDP as your second computer and store your files on the cloud. You can access your remote desktop and your data anywhere in the world. SO no to worry about carrying your laptop or files all the time. Using RDP for faster speed: All servers come with 1Gbps or 1000Mbps internet speed. If you do not have that kind of speed on your home connection, you can still enjoy high speed on your remote servers. Downloading and Uploading bigger files will be a matter of seconds. It is also very handy for web admins, as they can easily take backups of their work. Secure and better alternative of VPN : RDP provides an extra layer of security which far exceeds the traditional VPN( Virtual Private Network). In VPN you can hide your IP or location, but in remote desktop an attacker can’t even reach your system. As you will be working remotely on RDP even if an attacker tries to harm you, only remote desktopwill be affected in the worst case scenario so that you will be safer. Bypassing geographical restrictions: A lot of websites restrict their access in a particular region. You can quickly get an server in that location and can enjoy service. In the same way, you can operate an office in any country using the remote desktop. RDP for organisations : An Organization can cut their software cost by installing them on remote desktop and let all users connect to the same server, this way they can save a lot on software license cost. It also enables them to apply security by limiting the Application or software access. RDP is a powerful tool which is necessary in today’s world. We offer different RDP services based on user requirement. We have server available in USA, UK, France, Netherlands, etc. Our remote desktop services act as your second computer on the cloud(cloud computing). Our servers come with Enterprise Grade Hardware and minimum 1Gbps speed and also fully managed service. How to use Remote Desktop Connection (RDP)? What is Shared RDP and Admin RDP ?